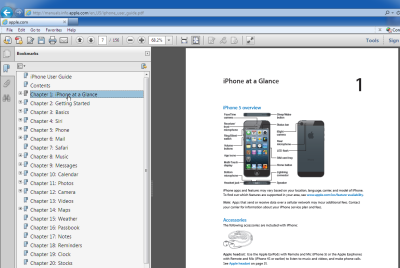 You can access the iPhone User Guide through iTunes by plugging your phone into your computer. Note: You can access the latest iPhone User Guide by going to the Apple Help Page. To access the User Guide compatible with your device/iOS version, follow the steps below. 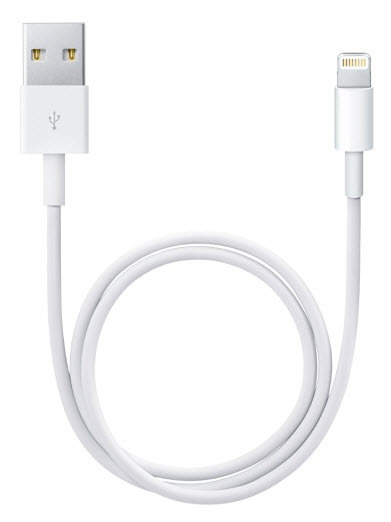 Step 1:Connect your phone to your computer with the USB cable/port. Step 2:Open iTunes if it does not pop up automatically. Click the Help menu button at the top of iTunes and choose iPhone User Guide. 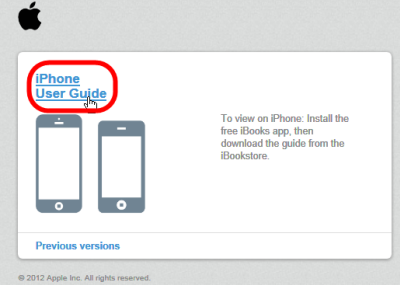 Step 3:Click the iPhone User Guide link. Step 4:The User Guide will open in your default browser.